This Steel Lattice is made from thin sheet metal and the diagonal holes are punched in the sheet to provide some visibility and airflow. 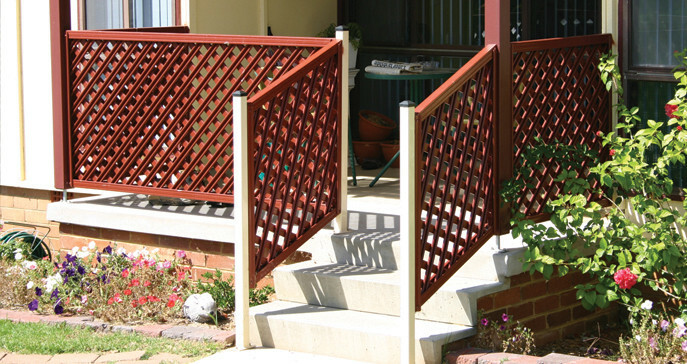 Punched Lattice can be galvanised and powder coated in the full Gramline® powder coating colours. GramLine® manufactures three heights: 300mm, 450mm and 600mm high. These heights come available in two standard lengths; 2400mm and 3100mm wide. These sizes are commonly used for fence tops. Punched Lattice is a non-stock item and are made to order.